I, along with 18.1% of the country’s population, suffer from anxiety. It wasn’t something that I was aware that I had until I experienced two car accidents back to back, which led me to experience panic attacks, racing thoughts, and trouble sleeping. Over the years I’ve been able to get a hold of my anxiety through therapy, exercise, spiritual practice, and Jedi mind tricks. However, when life’s stresses, lack of sleep, and too much caffeine get in the way, I can feel my breath constrict, and the fear of spontaneously fainting swiftly returns. In recent months, thought, I’ve been able to manage my anxiety through microdosing cannabis. When I smoked weed for the first time, I was sixteen, and, in the words of one William Jefferson Clinton, I didn’t inhale. It wasn’t until college a couple of years later that I began to experiment with cannabis in earnest. Unfortunately, it didn’t go so well. My first bad experience happened on my birthday. I took a few hits from a friend’s pipe, acting as if I were as seasoned as Cheech and Chong, and got so high out of my mind that my lips went numb and felt like they were ten sizes bigger. I swore that I could hear my heart beating inside of my ears. A week or so later, it happened again, but this time it was even worse. I was positive I was going to die; convinced that the pot my friends and I smoked was laced with something. I didn’t smoke weed for a couple of years after that. At some point, I got over the traumatic experience enough to try again. A few years older and wiser, I was able to get a better handle on my cannabis consumption. I taught myself to start low and go slow. I didn’t pressure or trick myself into thinking I was some master of all things marijuana. But then came the edibles. My first experience with an edible—a weed-infused cake pop—was fine. I took a small enough piece that it simply caused me to laugh uncontrollably for 10 minutes before promptly passing out in a deep slumber. My second experience didn’t go so well. I had been smoking all day long during a trip to San Diego with my best friend, and we decided to split an edible to enjoy a chill moment. Even though I ate a small piece of the marijuana gummy, it—combined with all the weed I’d been smoking earlier in the day—did not have a good effect on me. From what my friend described, I suddenly started speaking in a tiny, childlike voice and couldn’t stop crying, and as for my own recollection of that night, I believed I had entered a sort of limbo, a “dimension between life and death.” The only thing that pulled me out of this sunken place was watching a performance of Bruno Mars on SNL (still a mystery as to why that helped). It probably goes without saying that I didn’t touch an edible for a very long time after that. Even smoking weed the old fashioned way freaked me out for a bit, and I didn’t visit a dispensary for a long time, despite having a marijuana medical card. It wasn’t until California legalized recreational cannabis that I decided to try weed again. 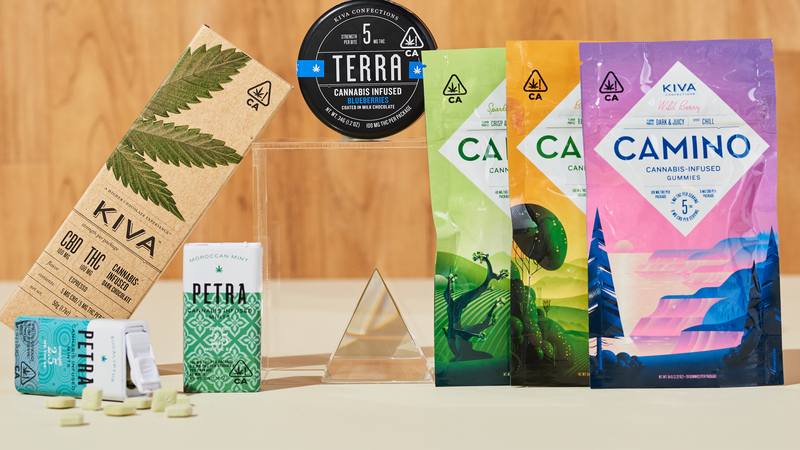 After all, there was more information about the benefits of cannabis, and all of these new brands and products—specifically those that were effects-based—claimed to yield positive mental and physical results. But wait, wasn’t weed supposed to make you paranoid and anxious? I definitely didn’t need any more of that. One of the most important aspects of cannabis is that it has a biphasic effect, meaning it can provide opposite results depending on the amount you consume. That’s why consuming high doses of weed can can lead to extreme anxiety whereas just a hit of a joint can make you feel relaxed. So it makes sense that the unofficial “golden rule” of cannabis is to start low and go slow. If you start at a lower amount, such as a hit of a pre-dosed vape pen, or 1 to 2mg of an edible and wait an hour and a half to observe its effects, the chances of experiencing anxiety or a bad high are slim. 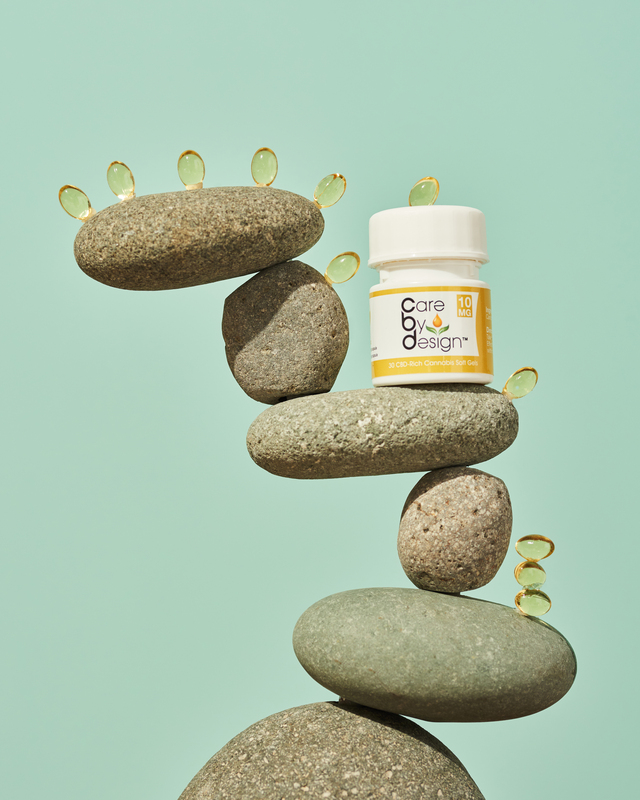 This is referred to as low-dosage cannabis, or microdosing. Of course, we also know that terpenes, or the essential oils in plants, including cannabis, also produce mental effects such as stress relief and relaxation. For example, the terpene linalool is known to be relaxing, while limonene can elevate mood. 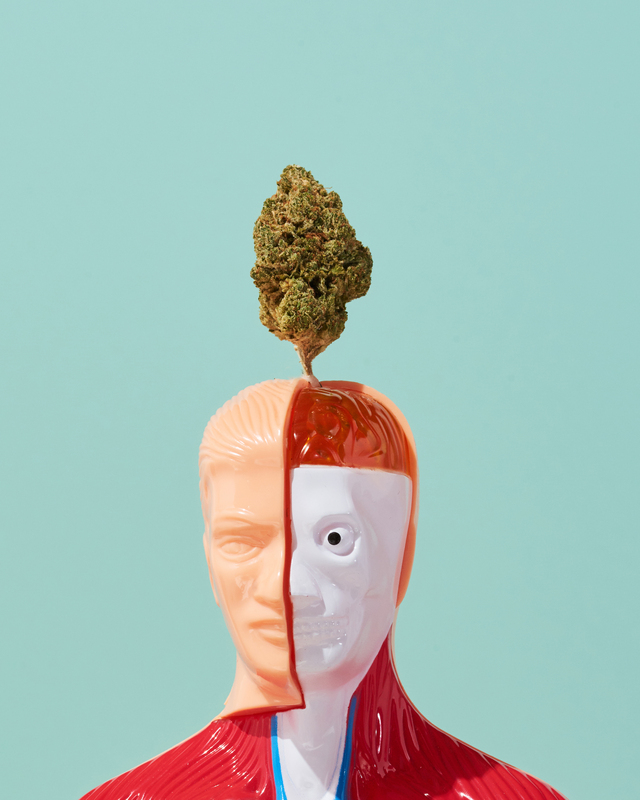 This, along with the “Entourage Effect,” which is the synergistic interaction that occurs when the cannabinoids, terpenes, fatty acids, and flavonoids found in cannabis get together, contributes to the effects of cannabis on the human body. Since cannabis became legal in California, I’ve learned how to manage my anxiety through several methods. I keep that biphasic tip in mind and use a small amount of cannabis each time, then proceed to go slow. I also focus on the actual dosage. This has all become easier for me because of three major reasons: One, there are pre-measured vape pens, like the ones made by dosist, that focus on controlled dosing, so I know exactly how much weed I’m hitting; secondly, there are effects-based products like MedMen’s [statemade] series, as well as Dosist’s various offerings, so I can curate exactly what type of result I want—and yes, I have specific Dosist pens that I use when writing; and finally, California’s marijuana laws require that edibles not contain more than 10mg of THC per piece. This, in particular, has helped me immensely. I’m now able to enjoy edibles without the fear of returning to the sunken place where only Bruno Mars can save me. And Kiva chocolates are delicious. Since I’ve learned how to properly consume low-dosage cannabis, I haven’t had one single panic attack. It has helped me to relax, focus, and sleep better, and I couldn’t be more grateful.